It is necessary to closely monitor the phosphate levels present in both civil and industrial waste water. 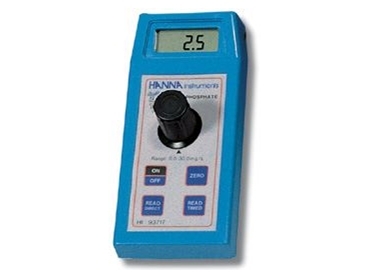 According to Hanna Instruments , phosphates are particularly important for the growth and development of plant roots, and hence are one of the most common fertilizers used in agriculture. HI 93717 is supplied complete with 2 cuvets, battery and instructions.